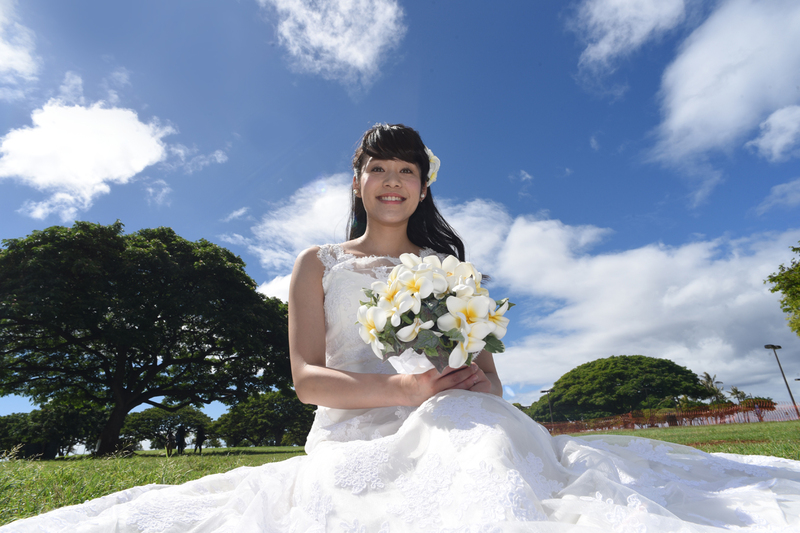 Pretty Bride Sayumi at Magic Island in Honolulu, reminds me of a Japanese Barbie. Skyscrapers of Honolulu by Ala Moana Park make a nice Honolulu scene. Nice dress, pretty flowers, lovely Bride. What a combination!